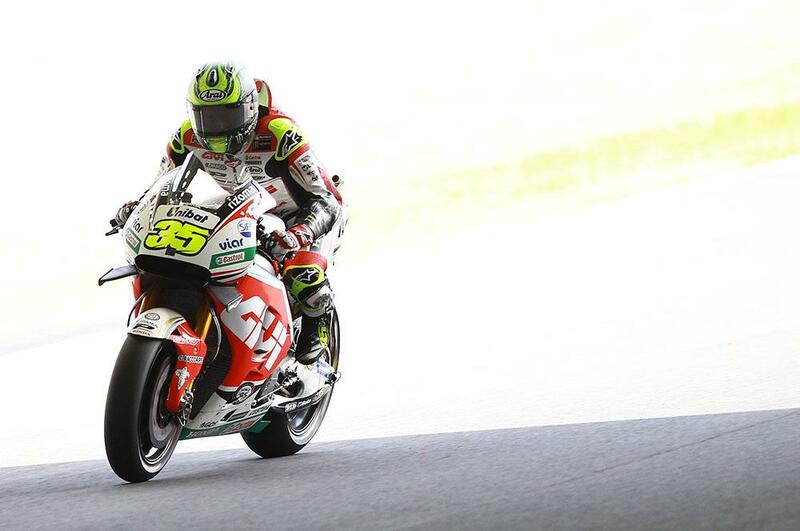 Cal Crutchlow has hit out at people calling for him to replace the injured Dani Pedrosa this weekend in Motegi, saying that it shows a lack of respect for his fellow Honda rider. Pedrosa crashed out of free practice two, breaking his collarbone badly enough to require surgery, and will head back to Spain immediately for the operation. But despite immediate calls for Crutchlow to step up to the Repsol Honda bike for the weekend – a seat now filled by test rider Hiroshi Aoyoma – the Brit says that it’s disrespectful to the injured Pedrosa. It was a good day for the LCR Honda rider, however, finishing in fifth overall and pleased with his pace despite admitting afterwards that they still had a lot of work to do to find a base setting on the RCV213. “It wasn’t a bad day today, even if I feel a little bit tired, but overall I am generally quite happy with how the bike is working. There is still room for lots of improvement though - there are a couple of areas around the circuit where we are struggling a little, but we are quite happy.